Spring has sprung and with it has brought a number of exciting announcements from ECF, including new board members and seven brilliant new scholarship recipients. Spring has sprung and with it has brought a number of exciting announcements from ECF, including new board members and seven brilliant new scholarship recipients. We are excited to share this news with you and look forward to growing our foundation for the best year yet! The ECF board has taken a good deal of time during the last few months accepting scholarship applications, reading essays and sitting down to interview hopeful candidates. After extensive and careful deliberation, we recently decided to award seven scholarships to local Clark County high school students. Please join us in congratulating Ashley Kozell, Bettina Bautista, Brkiti Brhan, Cameron Keenan, Meagan Taylor, Paige Owens, and Sol Pacheo. 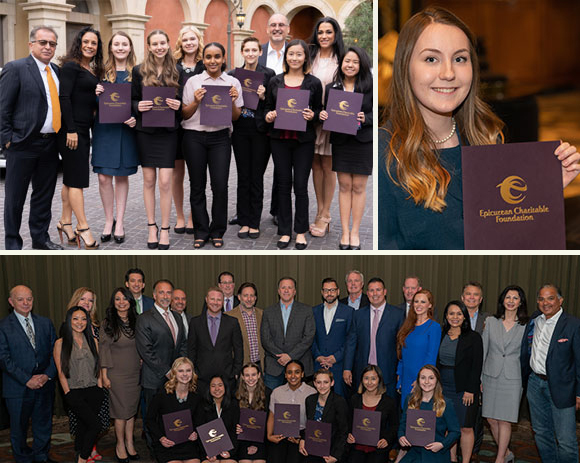 More about each of the newest ECF scholars is shared below. This year’s recipients have an outstanding combined average 3.91 GPA! It is shaping up to be a great day at ECF’s 3rd Annual Golf Classic at Red Rock Country Club’s Private Mountain Course. Golfers will start the morning off with coffee and breakfast from Sambalatte Torrefazione and a Bloody Mary from Tito’s Vodka. 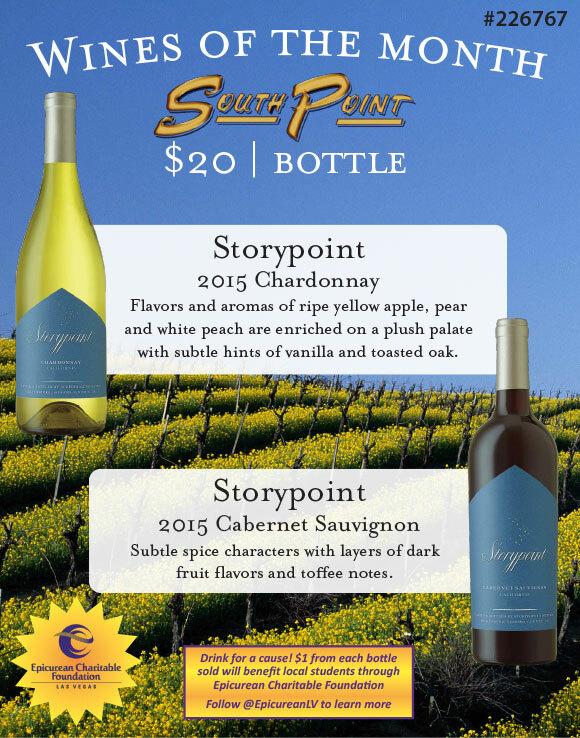 The day will include drinks from Southern Glazer’s Wine & Spirits, E&J Gallo, Fiji Water, Keurig’s new coffee-based energy shot called Forto, Johnson Brothers of Nevada, Kettle One Vodka, Tincup Mountain Whiskey, and Tito’s Vodka at our on-course watering holes. On course boxed lunches will generously be provided by California Pizza Kitchen. Activities sponsored by: Brady Linen, Caesars Entertainment, Top Golf and Land Rover Las Vegas along with on course masseuses provided by Canyon Ranch. Whether seeking to pursue careers in culinary arts or hospitality, the dreams of our deserving students are our No. 1 priority and we are continually working toward providing the best possible resource for those dreams to come true. It is thanks to the generous support from our sponsors, donors, partners, and board that our actions are possible, and for that we thank you. As always, you can keep up to date with everything ECF at www.ecflv.org or by following on Facebook, Twitter and Instagram @EpicureanLV. CONGRATULATIONS TO OUR NEW SCHOLARSHIP RECIPIENTS! Boasting an impressive 4.3 GPA, Ashley is no stranger to hard work and dedication to meet her goals. 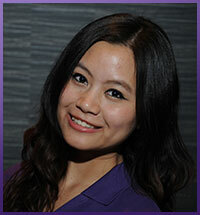 Ashley plans to pursue her dream job as Director of Marketing at a Las Vegas casino property. As part of her high school accounting class, she is already a level 3 Certified Tax Preparer. Ashley is a member of the National Business Honor Society, DECA member, an FBLA member, and volunteers her time at local charities including Ronald McDonald house and helping coordinate a 5k run for Down Syndrome Organization of Southern Nevada. 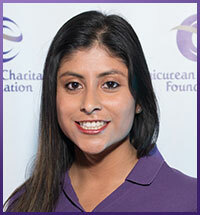 If her last name sound familiar, its because Ashley is our first legacy student- her sister Candace is a senior with ECF. 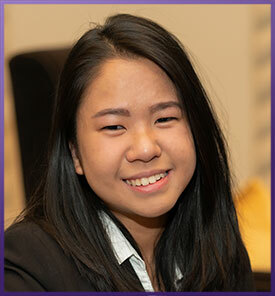 Bettina is a brilliant young woman with an impressive 4.09 GPA who plans to pursue his degree in Pastry Arts. Growing up in the Philippines, it was Bettina’s dream to one day own an oven. She learned to cook even without an oven and followed her rich cultural food history to develop her own recipes. Her passion for culinary has been growing ever since. Bettina has competed in the ProStart competition in both management and culinary categories and is on track to receive her Honors Diploma. Bettina also believes in giving back and is in service clubs including Key Club, Interact Club, and Leo Club. Brkiti aspires to be a hotel manager and one day even owning her own hotel. 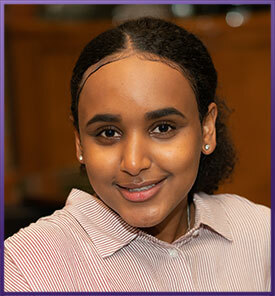 Growing up in Ethiopia, Brikiti and her parents came to America in 2012 in search of the American Dream and the pursuit of a great education. Brikiti not only has a 3.79 GPA but also speaks 3 languages, is a member of DECA and serves as historian. Cameron is a driven young woman with a remarkable 3.22 GPA and plans to hospitality at UNLV in the fall. Cameron hopes to one day work in event planning because she loves helping others and seeing the joy they have once their ideas are brought to life. She’s had perfect attendance for 8 years, received a Mentor Medallion at her high school, and is a volunteer and fundraiser for the Grant a Gift for Autism 5k. 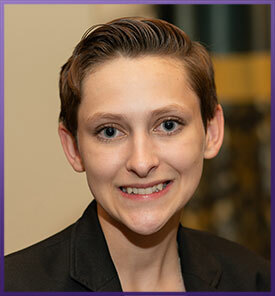 Meagan is a remarkable young woman who currently holds an outstanding 4.196 GPA. She plans to attend UNLV in the fall to pursue her dreams of being in event management and one day working in a large music or sports stadium. Meagan has an impressive academic background earning numerous Straight A awards for the school’s quarters, perfect attendance, and was even Student of the Month. Meagan was President of Arbor View High School’s Peer Leaders and is an active volunteer including time spent at Las Vegas Rescue Mission, Horses 4 Heroes, Those Left Behind Foundation, Adopt a Rescue Pet and WHY Ranch. 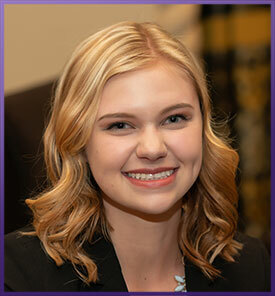 Paige is an outstanding young woman who plans to study hospitality management at UNLV in the fall. 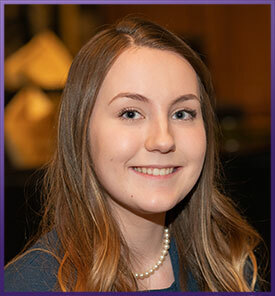 Paige has interned with the Las Vegas Visitors & Convention Authority and dreams to one day return there and work for the LVCVA to be the face and voice of Las Vegas tourism. 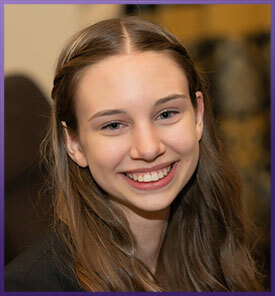 She is a member of the NAF Honor Program and is a member of DECA. Paige has a heart for giving back and actively volunteers for The Shade Tree. 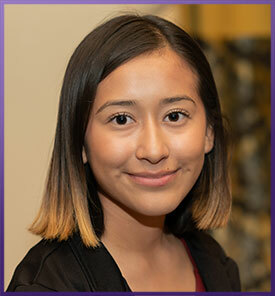 Sol is an enthusiastic young woman with a remarkable 4.06 GPA and plans to study hospitality management at UNLV in the fall. 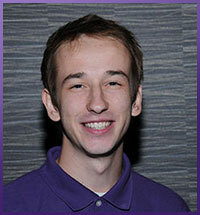 Sol currently works at the JW Marriott and hopes to one day work in event planning. She is a member of DECA, S.O.L., a UNLV Gear Up Ambassador, has been selected by her high school as an Athlete of the Month, and a Viking of Month. Sol is a student athlete and participates in volleyball, cross country, flag football, and track and has a twin brother. 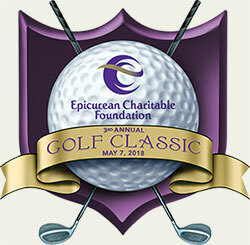 ECF’s 3rd Annual Golf Tournament is SOLD OUT. ECF is still accepting raffle items. Find out how you can get involved here! 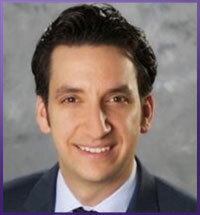 Welcome new member Robert Chiti, Director of Hotel & Guest Relations for TAO Group Las Vegas! 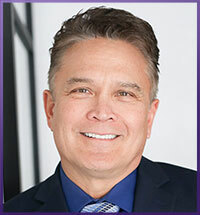 Mr. Chiti, a UNLV graduate brings 18 years of hospitality experience and is currently entrusted with the responsibility of liaising between TAO Group and Sands Corporation assisting with request for Tao & Lavo restaurant, Tao Beach Dayclub and Tao Nightclub. Mr. Chiti is looking forward to knowing the impact the funds he raises will have on young people. 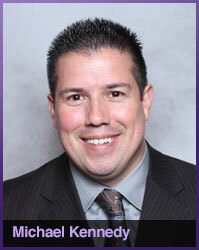 Welcome new member John Bray, Corporate Food and Beverage Director for Station Casinos! Mr. Bray brings 40 years of experience, all of that being in Las Vegas, as both a Food and Beverage Director and previously as an executive chef and is excited to serve on the ECF board to mentor and support students and then watch them grow in the world of FB. 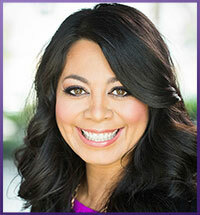 Welcome new member Karla Perez! Karla Perez-Larragoite, Vice President of Gaming at Sysco Corporation has been appointed as a member to the ECF board of directors. 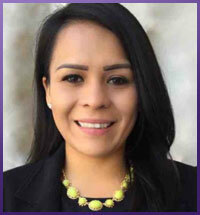 Ms. Perez-Larragoite has over 16 years of experience in both Commercial and Tribal gaming and is responsible for the further development of the Gaming Segment at Sysco. Ms. Perez-Larragoite is most excited to join ECF to aid in the Development & Mentorship of our future leaders in gaming and to be a part of bringing new vision and strategies to the board. 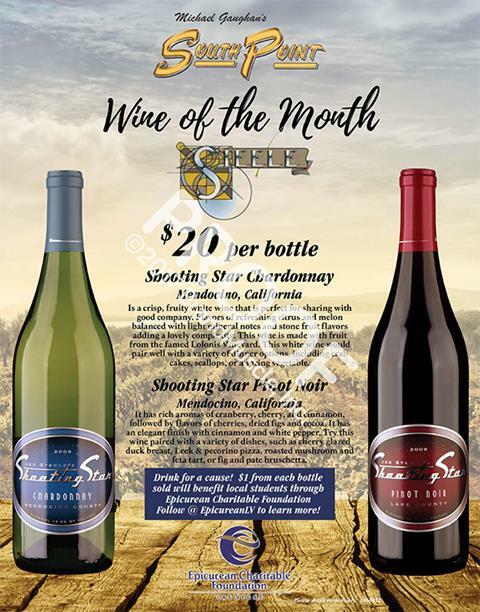 Thank you to Steele Winery for the 2,460 bottles of wine sold during South Point Hotel Casino & Spa’s January/February Wine Promotion!